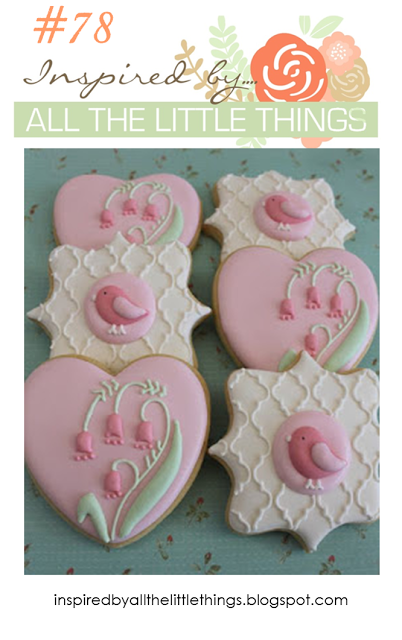 cookies and the sweet little birds. and pressing it onto my white panel. It's very faint and hard to see in the photo. as well as PTI Green Parakeet. You have until Friday, February 2nd to link up your card. This is stunning!! I Love all that PINK!! The bird is fabulous!! LOVE your card, Leigh, and especially thrilled that it's living at my house! Thank you, sweet friend, for this beauty, your wonderful note and the package! Too bad we can't see the embossing, Leigh, because I imagine it's as beautiful as the pink inked background. The bird looks so sweet perched there on the branch. Such a pretty card Leigh! Love the seeet bird! oh ! i love it , so nice ! How original! This is the sweetest! How delicate and sweet!!! Love that birdie and amazing warm colors. This is so soft and lovely! What a sweet little bird on your lovely card, Leigh. Thanks for having me as GD this month. Love that soft pink background and the sweet bird, Leigh! Beautiful...love how you used this set!